in-house production Bosch but more on that later. And then I switched around to find out what was available and ended up in Sicily at the Commissioner. 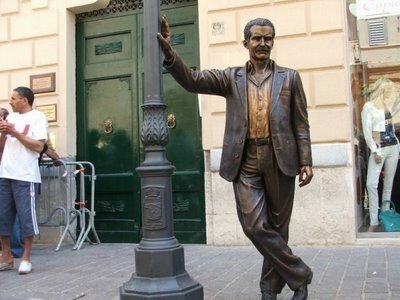 The figure of Salvo Montalbano in Porto Empedocle. Porto Empedocle is the setting for the series. 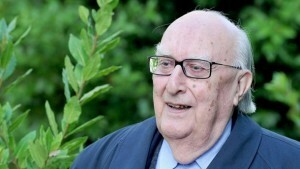 Andrea Camilleri also has a house here. TV tips and I think we have a 75% overlap I think, so respective tips can also be be tested. I mention Amazon and that I’m watching an Italian series there. Now here’s a new detail: I think about 2 weeks ago Andres who I exchange series tips with, and where there’s also a lot of overlap Andres mailed me a newspaper clipping. 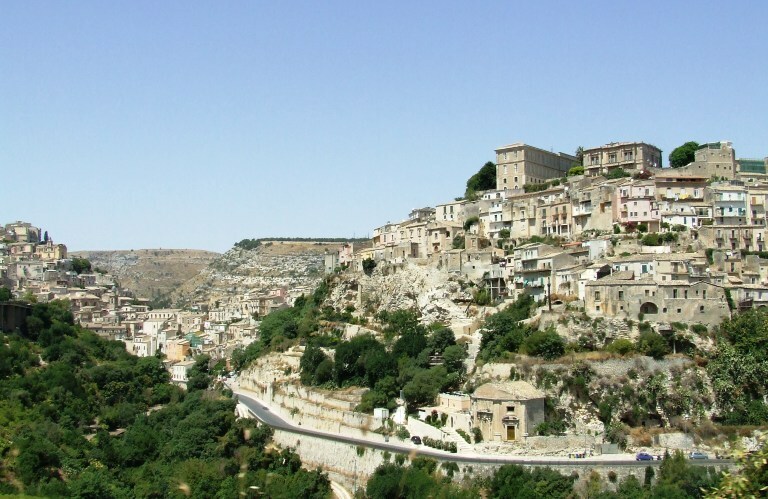 In a Sicilian city, houses are given away because so many people moved away. They do this in order to get residents again. The houses have to be renovated within 4 years. Condition: Regional craftsmen must be used. Was also in the New York Times. Boy am I well read. So I discover this Italian series, Commissioner Montalbano. It is already older, from 2000,. This doesn’t bother me. Also with music or books. I don’t believe that I know everything. Sometimes or even often, I stumble on things that I should already know but simply have first come across now. No problem.This makes me even happier. So I look for something about the series first and read that the author Andrea Camilleri had his breakthrough with his books about Montalbano and that this was immediately televised. And that at age 74, everything was already ready, I had to look at that. Also, as a man of the theater, he had presented Strindberg, Samuel Beckett and T. S. Elliot. So can’t be completely bad. I told Streif about this. Nothing spectacular actually. Somehow the series plays in the 80s, 5 main characters only one has a mobile, no navigation system (have you not looked at the map again etc.) It plays in a quiet , fictional small town on the coast. And that made me immediately stay put. The landscape, the cities, villages, houses, wonderful. The small town from the series’ opening credits. 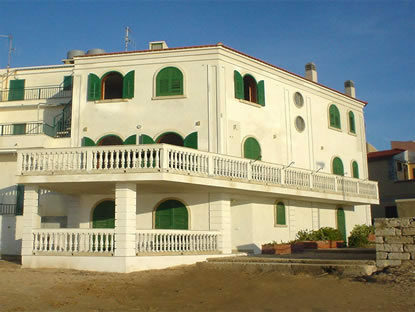 The damn Commissioner has a house at the end of a street directly at the sea side. Through the living room to the veranda, covered veranda (his bedroom’s balcony is above it) from the veranda, down the steps – beach, the ocean 20 m away. He swims every morning, then he drinks his espresso on the veranda and looks at the ocean. Unbelievable. From my window I look at the stupid rear wall of an elementary school. In the second season he gets his father’s renovated cottage, on the mountain above the town at the sea, with a view until Malta. Unbelievable, it’s hard to decide what to take away from him first. Also unbelievable are the houses, palaces where the series takes place, often in pretty run down condition. For example, in a mansion there was a table under a glass ceiling, I think for at least 40 people. One table, in one piece! Alone the table, but the mansion with two stairways to reach it from outside and they end of course on a huge veranda, if one can call it that. The corner house with the green window shutters. In the series the beach is of course always completely empty. Montalbano clears the house for me and looks one last time from my balcony at the sea. 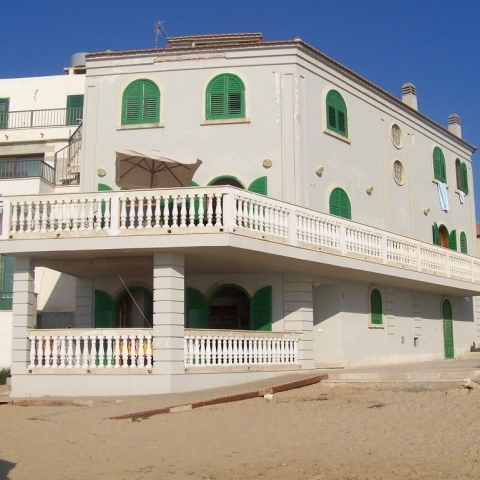 Montalbano is a quiet person, wants to have his peace, and most of all to eat in peace rather than search for any murderer. Which is why he is almost always annoyed. He goes to certain restaurants. It goes like this: “Ah, Commissioner, look at the fish here (Montalbano sniffs it), my son caught it this morning. I am making it the classic way by pan frying it in some oil and then cooking it with capers, a bit of lemon… or I’ll bake it for you on a bed of potatoes”. This happens episode after episode. My vegetarian self is loosening up. And then the wine that they drink all the time at home, of course all from unlabeled bottles. “Ah, my brother-in-law always has that sent to me…, ah, that’s a bottle sent by my cousin… ah, that’s the last bottle from my father’s vineyard…” – Damn Volvic for me! 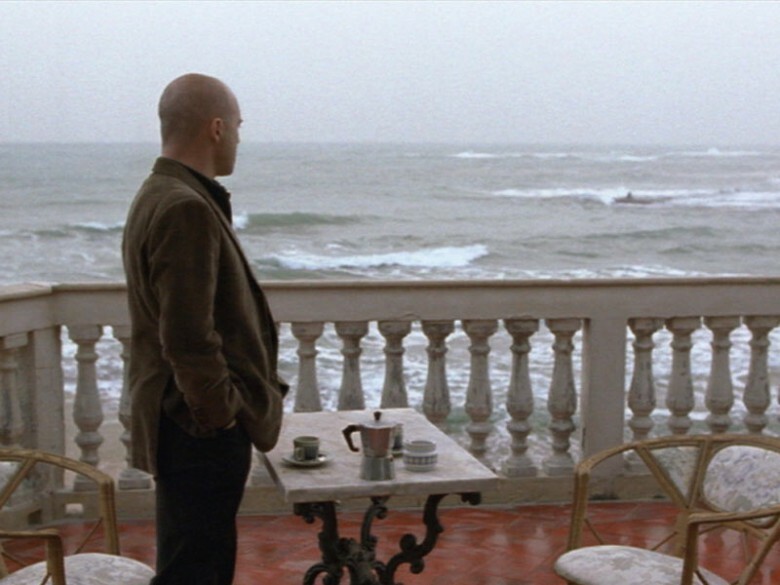 Montalbano (Luca Zingaretti) and his perpetual fiancee (Katharina Böhm). So I returned home from Streif; ate the rest of a croissant from earlier in the day and some ice cream. On to the computer. And turned on season 4, episode 1 of Commissioner Montalbano. All is quiet as usual. It actually also rains in Sicily. All good. The episodes are mostly 1hr and 45 mins long, like those from the BBC. So in the middle of this episode Montalbano arrives at man’s home where he’s cooking. “I’m making pasta with broccoli. Would you like some too?“ “Oh I already ate” (that I on the other hand ate that the last time in March in Cento Italiano, with wild broccoli, so super delicious). They speak. Frame: both sit at a table, each with a full plate and of course wine from… The man tells how he first sautés the garlic without letting it turn black and then adds the broccoli, lets it simmer. Yes, his mother has been dead for a long time. Thirty years but he has to enjoy himself. That was it now – end of story. Montalbano and his Inspector Fazio in always the same leather jacket. I got up, went into the kitchen, took day-before-yesterday’s pasta from the fridge and pan fried it, put the remaining sauce on top and washed up until it was ready. Yes, of course my full-time Italian Florian from Canzone always said: “Italians don’t eat fried noodles”. (Poor things. Good that I’m not one of them) . It takes a while, They have to be brown and crispy. I already start taking some out of the pan with a fork. That’s why I washed up in order to leave something for the plate. And then the moment comes where the rest of the sauce is added. Make some room in the pan. Don’t just pour it on, we want crispy noodles, otherwise they’ll become soft again. There was something new in the sauce that I found in Metro Supermarket. At the moment vegetarian pre-fab meals and similar stuff are springing up like mushrooms after it rains. Bacon-style veggie filet cubes were recommended by the nice saleswoman. She has a customer who is crazy about it. I made the wrong choice. Actually wanted chicken style. Have to try it. (If someone doesn’t understand, it’s Thomas-Russian “paprobovat – test, try”. – Lilija). To the point: it smells good while it’s cooking, it smells real. Otherwise, it’s quite rubbery and tastes neutral. It was better reheated. And back to the screen, the first time that I ate something warm in front of the computer. Both of them continue chatting calmly. I ate my pasta with parmesan on top. Yes, Kiro, cheese isn’t put on every pasta . Okay, I was alone and it was also reheated, more of a casserole. Good. It was 12:50 am but who says that pasta is fattening at night? – but didn’t I just discuss this with Streif? – I am so weak. Yes, yes. 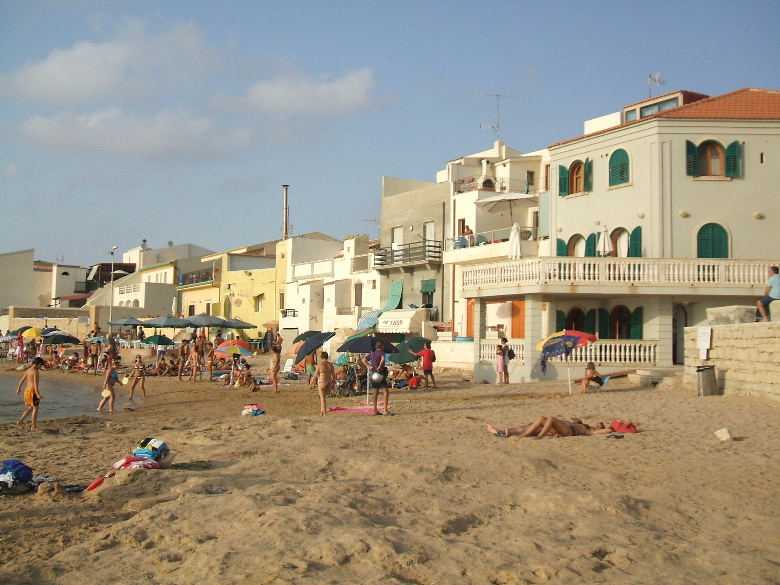 Montalbano caught the murderer (there were two). Of course and prior to that he questioned a witness in a beautiful garden. That could have continued for hours if it were up to me. Montalbano and Mimi in one of his favourite restaurants. One of the Commissioner’s basic principles is not speaking while eating. Eating is sacred. While he almost incessantly eats with someone from the precinct, suspects, friends and of course, beautiful women. But there’s a ceremony. An order is placed, the wine arrives. The he says “ should we talk now or later after coffee? Because I don’t speak when I eat.” They all obey this rule in the most wonderful way and the audience is lucky that most of them speak while having coffee. So we can at least see what’s being eaten and hear the “ahs” and “ohs” of ecstasy about the wonderful meal. Why I look at it?? Well I observe my new home (my new home is Odessa right now, but it snows there in winter also and not too little. 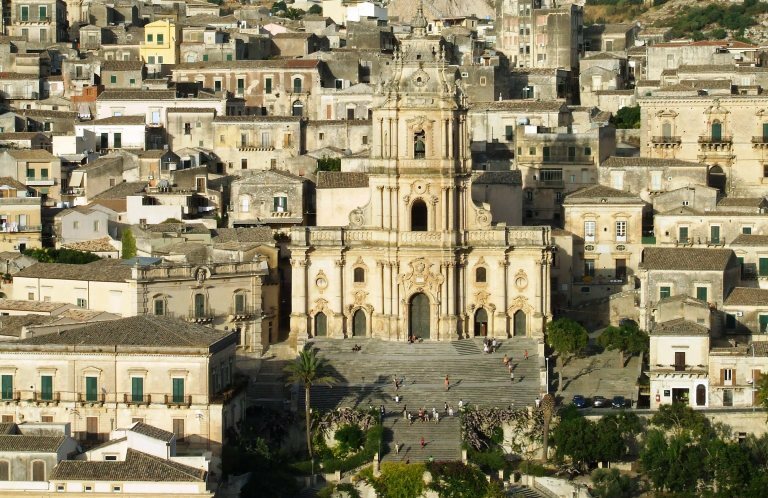 In Sicily December/January it is 17/18 degrees). I’ve told Lilija for years now that I’d like to go to the orange harvest in Sicily in January when the aroma of oranges fills the air. A hotel with a view of the ocean. The series comforts me and it’s also very old school. As already mentioned, only one person has a mobile, pulls rubber gloves from his pocket and secures the scene of the crime. Really, such details… I’m asking you. It’s calm, not one Mafia shooting after the other. Of course there are corpses. Why would there be a Commissioner otherwise, who is somewhat headstrong and doesn’t believe everything and his superiors want to close the cases but he always finds a sticking point, something that doesn’t fit. He is more similar to Holmes and Maigret. 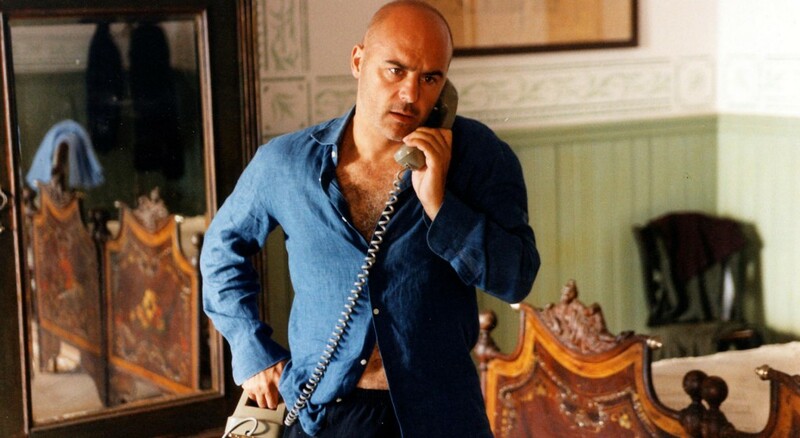 Montalbano, Slightly annoyed as always. Oh, and the numerous beautiful women of all ages who constantly appear. And then landscape and houses over and over again. And food. It has something. Especially in Germany, where every city with more than 100K residents has a spot in the German Soccer League and its own Tatort (local crime series), this type of film and its people seem refreshingly simple. The only thing strenuous is that mother RAI does not allow any other cars to be seen than the police cars. Everything strangely empty. There aren’t even some parked cars. There are also no people walking on the streets. That’s the only thing that disturbs me. Oh and the running gag with the door. Oh yeah, there’s something else. Who doesn’t know him, the man with the light – Offshoots from Adlershof reach us through this series, the German and also a few dubbing actors are post-socialist remains of the cheap synchronization studio Adlershof from TäTäRä. Who doesn’t recall French and Italian films from the late 70s and early 80s with the horrible, distorted GDR German and the artificial speaking style of the dubbing actors. I can’t watch these films any more. I can’t stand them any more, even if Romy Schneider, Michel Piccolini or Alan Delon and Jean Gabin are in them. But it works here like a pinch of tarragon on the tomato sauce. It sometimes shines through. But the actors and the landscape pull it off and the further one goes, the less obvious it is. (The BBC did the english version, it will be better). And something else pulls it off. Really. For each episode, newly composed music in the classical sense. Good film music. I noticed that immediately. All with a touch of piazzolla, even the band onion stuff. Or is that just a good accordion? I’m not sure. I have to play it for Klaus Gutjahr. And the violins are often so piazzolla-like but not negative. Good handwork and where he is free, he is at his best. Franco Piersanti is the composer. I never heard of him before this series. This should be a help for the German readers, with lonks. I am sorry you have to search for your own. I know amazon will have it all. In German we have even a Montalbano cook book. At last here is another Blog, it is about the places where Monatalbano has been shoot. It is in German. But it has lots of lovley photos by Thomas Wernicke. I have learn this put up and if I could I wish to suggest you some attention-grabbing issues or suggestions. check out your site on my iphone during lunch break. I enjoy the information you present here and can’t wait to take a look when I get home. create my very own website and would like to find out where you got this from or what the theme is called.